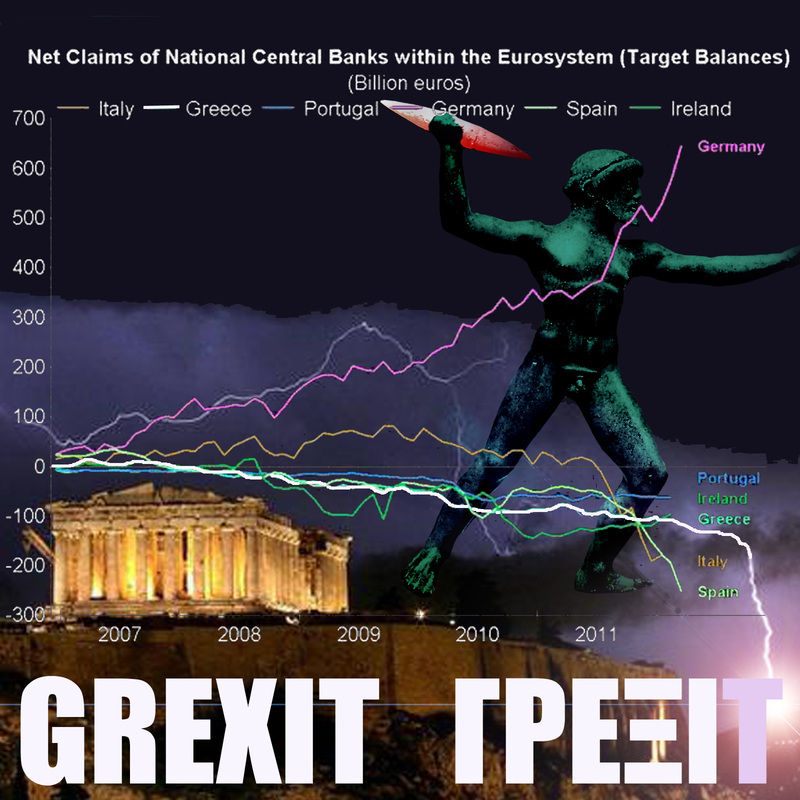 (*) Grexit: Grexit is a slang term introduced in 2012 in world business trading. It is a portmanteau combining the words Greece and exit, referring to the possibility that Greece could have to leave the Eurozone, and thus would have to readopt their old currency, the drachma. The term was introduced by Citigroup’s Chief Analysists Willem H. Buiter and Ebrahim Rahbari on the 6 February 2012.